By choosing Hour Glass Cleaners you have demonstrated your preference for unrivaled expertise. We thank you for the confidence you have placed in us. 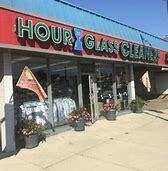 To give you an introduction to Hour Glass Cleaners' indisputable quality and service, please visit our store located downtown St Cloud. We continue to strive to always give our customers the best quality and service. We offer convenient drive-through service;1-Hour Professional Dry Cleaning and Same Day Laundered Shirt Service Monday - Saturday! We also have many more services too including professional tailoring, leather cleaning, and wedding dress cleaning. philosophy everyday! 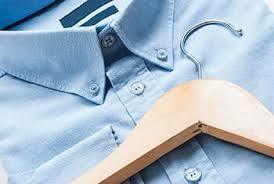 Hour Glass Cleaners does all dry cleaning and laundry on the premises at each store location. This allows Hour Glass to give absolutely the best service and quality to all of our customers. If there is ever a question with a garment, we can re-do the garment in question and usually have it returned within 60 minutes or sooner. Hour Glass Cleaners....Dress Well. Live Well. Product description: $20 certificate. Does not include laundry services. No cash back. Limit 1 per person per visit. Does not include laundry services. Limit one per person. No cash back.ALL SALES FINAL. No refunds or exchanges.